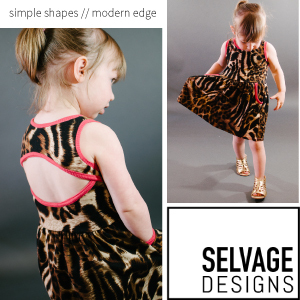 or a pattern that you love but would like to make a little more flattering? 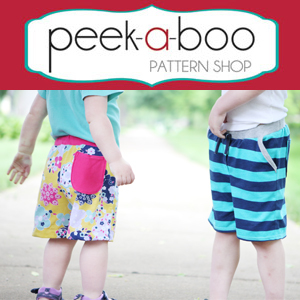 Maybe you’re just getting sick of basic kid’s clothes and want to jazz up your next sewing project. 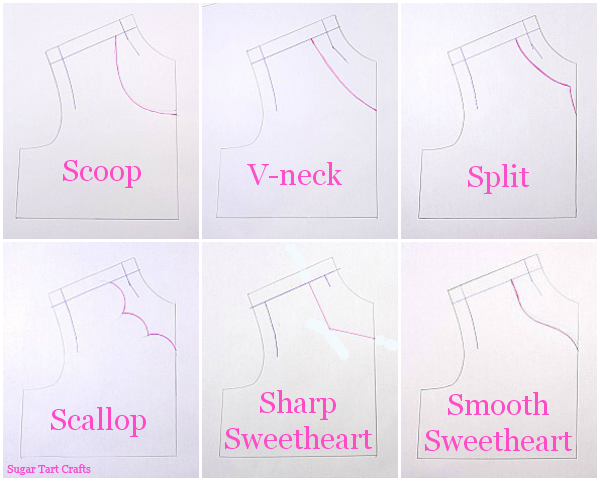 Adjusting the shape of the neckline is a simple way to completely change the look of any top or dress! 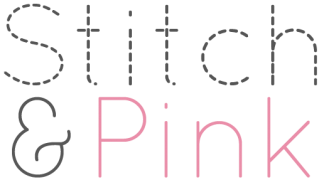 I’m sure you’re all familiar with the regular crew, scoop, halter, square, boat, sweetheart, and v-necklines from your shopping trips to the mall. 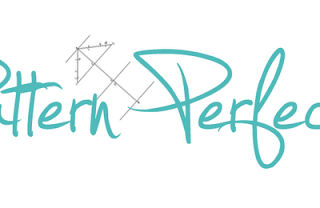 But how familiar are you with the portrait, ballet, queen anne, sabrina, decolltage, and illusion styles? 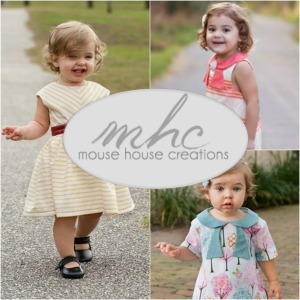 The technical name is usually a personal preference since round, crew, and jewel are all names for the same look, but there are dozens of options to choose from. 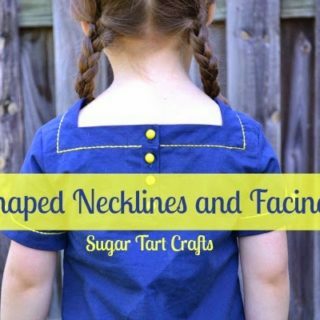 And with a little practice you can design your neckline to look any way you’d like! 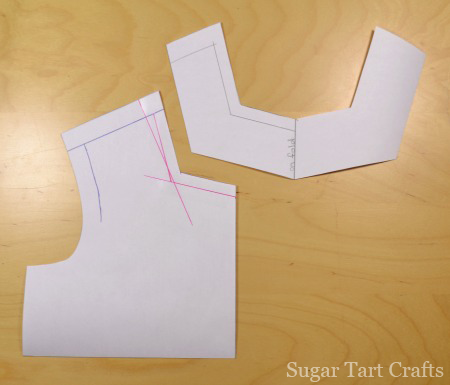 All you’ll need is a pattern, pencil, ruler and paper to get started! Trace an existing pattern that you would like to change. Mark any pre-existing seam allowances. 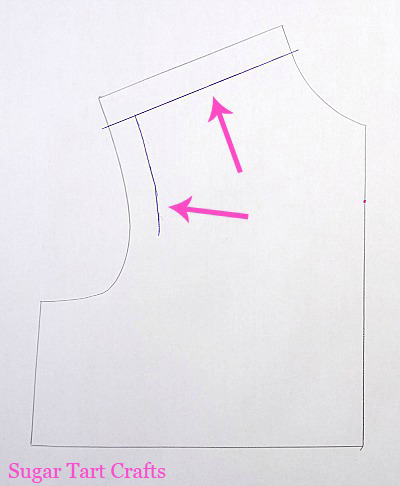 Draw a new neckline between the center front and the shoulder lines. 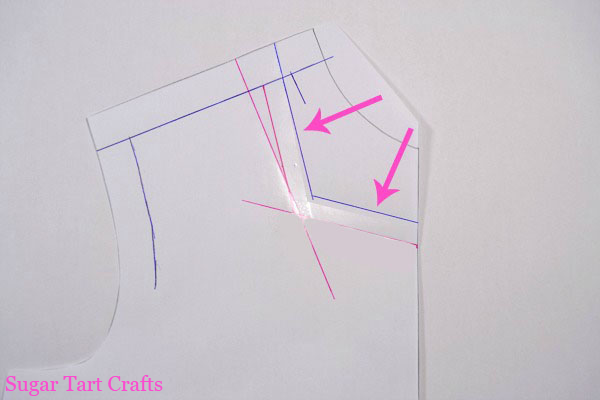 Once you are happy with your shape, add a new line for seam allowance. 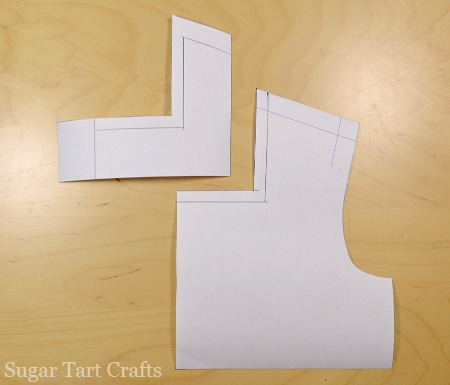 Trim away any excess paper and match the front and back pattern pieces along the shoulder seam. 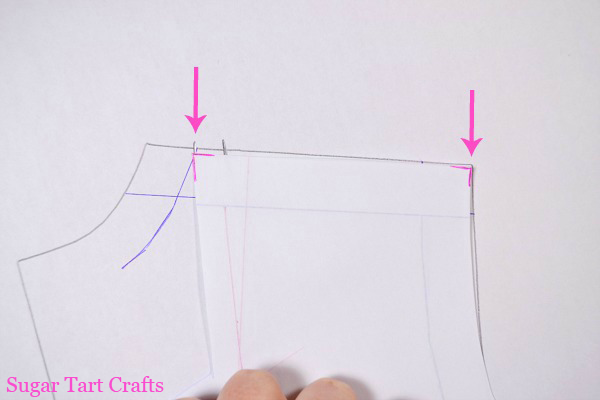 If you changed the length of the front seam, the back will also need to be adjusted. Mark the new seam length and seam allowance on the back pattern piece. 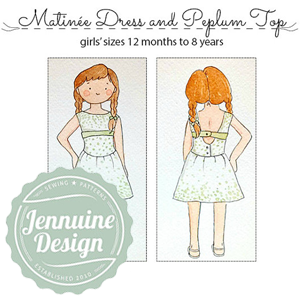 I chose to change the back neckline entirely, but you could easily keep the old neckline. 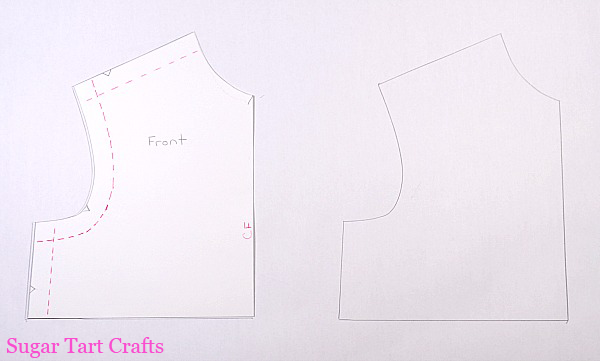 Simply start at the center back and blend the old neckline into the new shoulder seam marking. 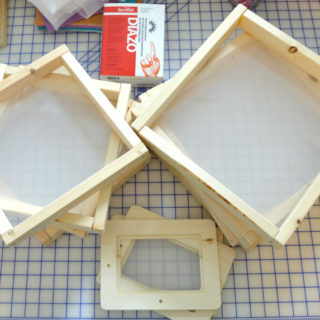 Now the pattern is finished and we’re ready to make the facings. 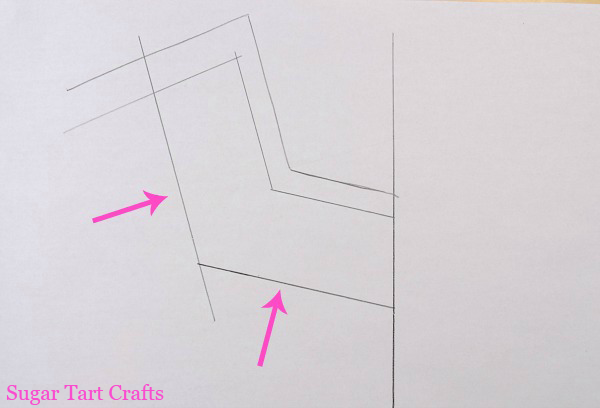 Draw a center front line on a new piece of paper. 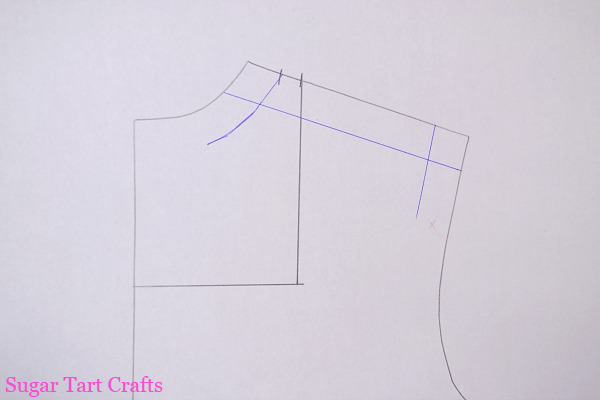 Line your adjusted pattern up with the line and trace the shoulder and neckline. 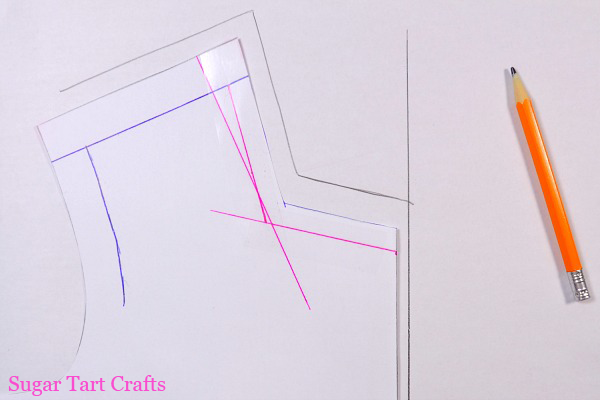 Measure down the width you would like, and draw a bottom edge for your facing. I generally use between 1 1/2 – 2 inches. 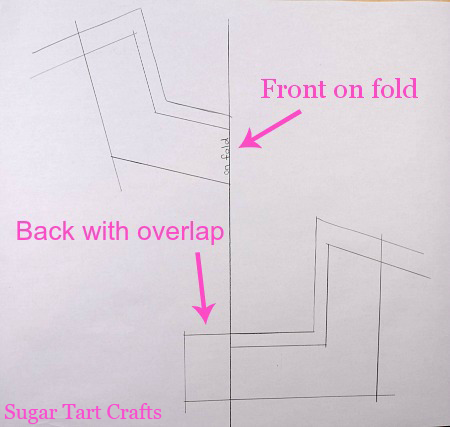 Repeat the process with the back pattern. …and the back pattern and facing. 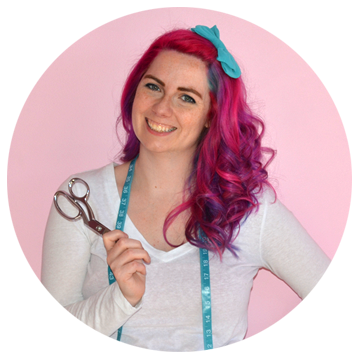 stop back tomorrow for a tutorial on how to sewing the facings to the actual garment. 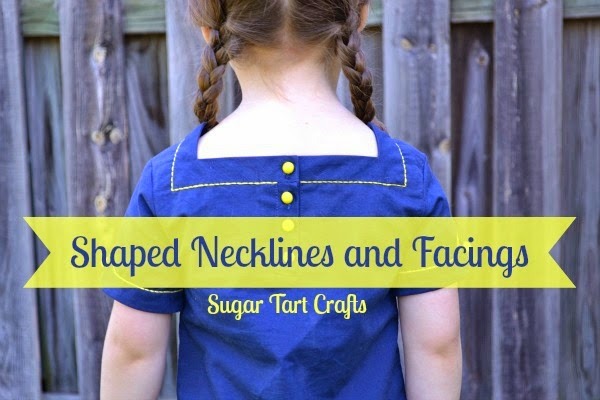 but I think I’d like to try the scalloped neckline next. Are there any you’d like to try? You make it look so easy! I pinned this post for future reference, I'm sure I will need it someday. Hi Audrey. It really is easy! It does take a bit of patience to make everything line up properly at first, but once you've done it a few times, the adjustments can all be done in about 10 minutes. Thanks so much Michele! I'll be sure to stop over for a visit! Thanks Olga! I'm glad you liked it! You're very welcome Esther! I'm so glad it worked, and I'm sure your finished dress will be lovely! How do you sew them? I mean, the sewing part is the hard part. I'm looking to change the neckline of a thrifted dress from a high round neck to sweetheart. There's an inner layer to the dress. 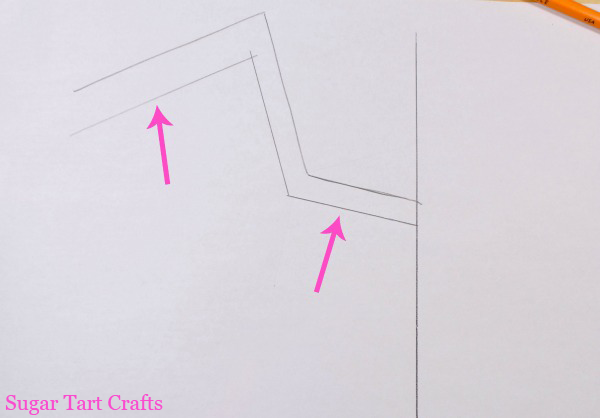 Is there a way that I should sew the seams?